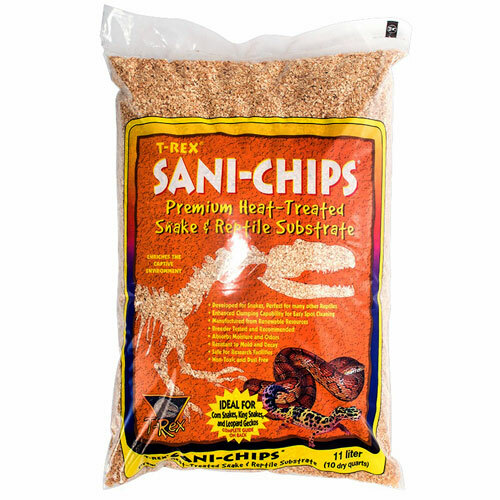 Brief Description: T-Rex Sani-Chips Premium Heat-Treated Snake & Reptile Substrate enhances the captive environment of your scaly pet. This specially formulated, super absorbent bedding material soaks up moisture and odors while resisting mold and decay. This helps keep your pet snake or reptile's cage or terrarium clean, healthy, and smelling fresh. Product No. RETR-81582	- Orders Shipped Weekly. 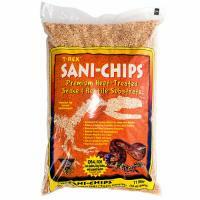 Ideal bedding for corn snakes, king snakes, leopard geckos, and more.